Free shipping to United States with $50 purchase from TheHealthyButterfly. See item details below for sale terms. Calendula Creamsicle Natural Body Soap has ingredients in it that will moisturize your skin. 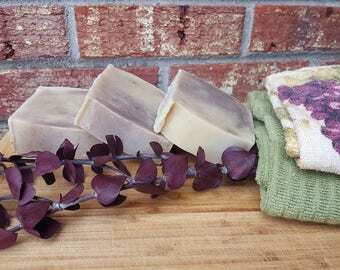 Wonderful soap for the cold winter months to keep your skin from getting dry. Olive Oil, Coconut Oil and Avocado Oil are great for your skin. Calendula is widely known as a healing herb and moisturizes the skin. If you tend to have dry skin, this soap is perfect for you. It is handmade with a combination of oils and herbs. This is a non-fragrant soap. 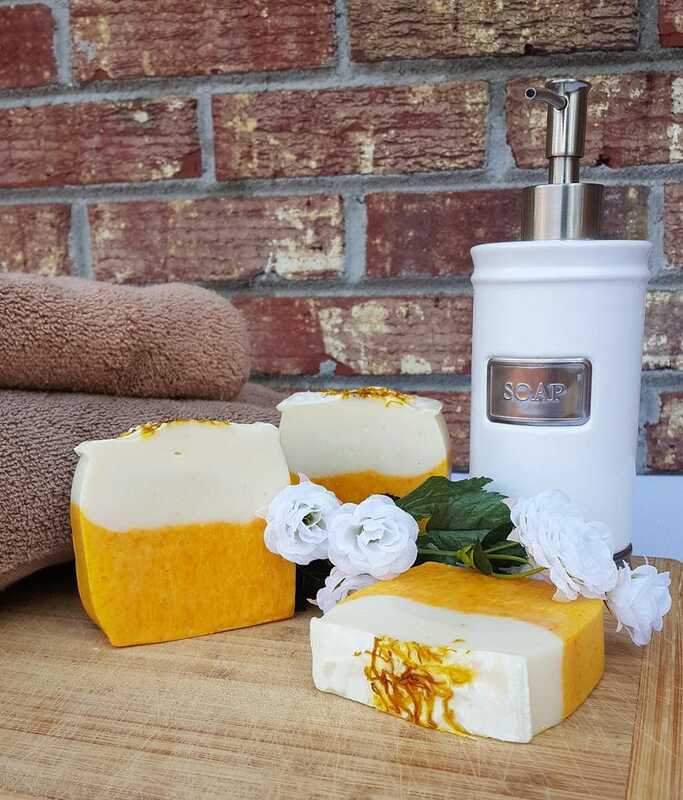 Wash your body with good for you, skin softening, all natural Calendula Creamsicle soap. Ingredients: Olive Oil, Coconut Oil, Avocado Oil, Sunflower Oil, Calendula, Annatto (for yellow coloring). Note: Calendula may cause an allergic reaction in some people. If you are allergic to members of the Aster family, then you may have a reaction to calendula. If you know you are allergic to chamomile, treat calendula with caution. Disclaimer: The Healthy Butterfly's products and claims presented have not been evaluated by the Food & Drug Administration are not intended to diagnose, cure, treat or prevent any disease or conditions. Information provided is for informational purposes only. Please do your own research and/or discuss with your healthcare provider before using natural products. By purchasing and/or using any products from The Healthy Butterfly, it is implied that you have read and understand the risks of using natural products, natural ingredients and essential oils and therefore release The Healthy Butterfly from any and all liability. Omg love this.... i got them yesterday...it had only been one day but my lips feel moistueized and are healing ...they were quite chapped at lower lip...cant wait to see improvment in a week from now. Love the lemon balm salve! Ordering another one! Not to greasy not too thick perfect! Amazing product, exactly as described and fast shipping.